Curry General Hospital has been called "a jewel among rural hospitals in Oregon" and is known for its exceptionally compassionate and caring staff. Certified as a Critical Access Hospital, the hospital provides quality care by community people, right near home. In November 2013, District voters overwhelmingly approved a ballot measure to help fund the construction of a replacement Curry General Hospital in Gold Beach. The new, state-of-the-art 62,000 square foot facility opened in May, 2017, replacing the 65+ year old building which no longer met building code or served the community's needs. 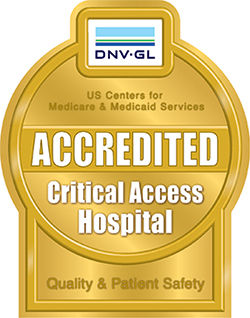 Curry General Hospital is safety and quality accredited by DNV-GL. 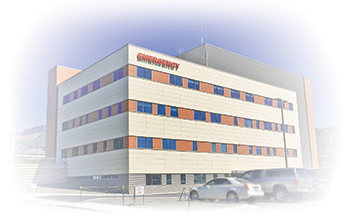 The Emergency Department is staffed with highly qualified and dedicated physicians who are on-site 24 hours per day, 7 days per week; and has earned a designation as a Level IV Trauma Center with 24 hour Trauma Surgeon availability. Hospitalists provide 24/7 care for inpatients. They stay on site, and are available for patients and family members, even after discharge. The hospital continually hosts visiting medical specialists who treat patients and/or perform surgery in oncology/hematology, ophthalmology, orthopedics, neurology, ear-nose-and-throat, cardiology, and general surgery.